Gov. 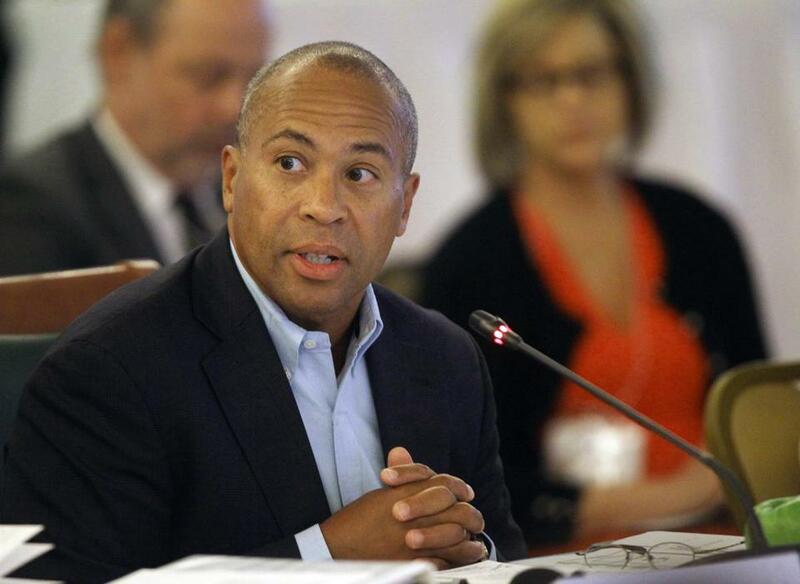 Deval Patrick twice changed state guidelines earlier this year to make it easier for inmates to qualify for commutations. After decades of a cocaine addiction and six prison sentences, Deanne Hamilton finally got sober. She saw a therapist, attended Narcotics Anonymous meetings, and was ready to start sociology courses at Bunker Hill Community College. But in 2013, a state Appeals Court decision sent her back to prison to finish a 7½-year sentence for dealing cocaine in 2007, before her sobriety. Last month, Hamilton, 49, pleaded with the state Advisory Board of Pardons to recommend her early release from a Framingham prison. “I just want my sentence commuted so I can live my life,” she said. Hamilton is the first inmate in four years to get a hearing with the board, whose members expressed open admiration at her transformation. If they recommend her early release to Governor Deval Patrick and he and the Governor’s Council approve the recommendation, Hamilton could be the first person in the state in 17 years to have a prison sentence commuted. Patrick twice changed state guidelines earlier this year to make it easier for inmates to qualify for commutations. Since then, more than 60 petitions for commutations have been filed — three times as many as last year. 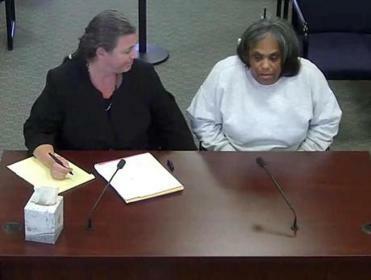 Deanne Hamilton (right) with her attorney during a Parole Board hearing in 2014. Commutations shorten a prisoner’s sentence, allowing him or her to be released early, but do not expunge a criminal record. A pardon, on the other hand, means that a conviction is erased. Patrick is considering granting three pardons to former felons who have been out of prison for years. 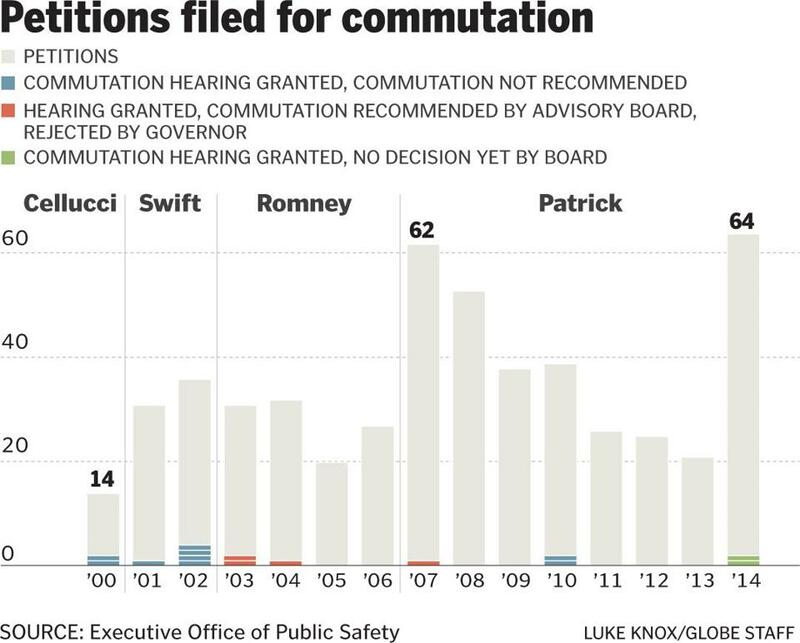 But commutations are more politically fraught. The last governor in Massachusetts to grant a commutation was William Weld, who agreed to the early release in 1997 of Joseph Salvati, who was wrongly convicted of murder. Another form of leniency led to controversy. Governor Michael Dukakis’s failed 1988 presidential bid is often blamed on the publicity around the case of Willie Horton, an inmate serving life in prison who raped a woman in 1987 while he was on an approved leave from prison. The lack of pardons and commutations in Massachusetts in recent years can be traced back to that scandal, said Gavriel B. Wolfe, a lawyer with the American Civil Liberties Union of Massachusetts. Patrick, a former lawyer with the NAACP Legal Defense Fund, has disappointed advocates for shorter sentences who had hoped he would show mercy for inmates who have spent decades in prison and have strong community support. Some have questioned why Patrick waited until the last year of his administration to change the guidelines for commutations, which now make sentence reductions possible for inmates serving an “unduly harsh” sentence for both non-violent offenses or for felony murder and violent crimes committed under the joint venture theory. That theory holds that a person who knowingly participated in a crime is guilty even when an accomplice committed the actual act. At least a dozen inmates who have petitioned for commutations have been denied a hearing to make their case. On Oct. 23, more than a month after Hamilton’s hearing, the board also heard from Jonas DeLima, who is seeking commutation for a 2008 conviction for drug trafficking. Janis Smith, general counsel for the board, said many petitions have been filed that warrant a hearing. No other commutation hearings have been scheduled. Usually, petitions come from inmates serving life sentences with no chance for parole. But after the guidelines were changed, inmates serving long sentences for drug distribution began sending petitions. Another man sentenced to 8 to 10 years wrote that he had begun selling drugs only to support his three daughters and wife after his window-cleaning business began to fail. “I made all the wrong choices with good intentions,” he wrote. During Hamilton’s hearing, she told the board that childhood sexual abuse in part led to her cocaine addiction. In 2007, Brockton police found Hamilton living in the home of a drug dealer and charged her with conspiracy to distribute cocaine 700 feet from a school zone after finding three grams of the substance. After spending two years in jail awaiting trial, she was convicted by a jury but a Bristol Court judge vacated the conviction citing insufficient evidence. The prosecutor in the case, Jessica Healy, appealed the judge’s decision to the state’s Appellate Court. She attended Hamilton’s commutation hearing and urged the board to deny the petition. “You have to think about how she has contributed directly to that quality of life in Brockton as it is today,” Healy said. Hamilton acknowledged her mistakes but asked the board to consider her recent behavior. She has a little more than three years left in her sentence.